From the start we knew this was going to be an epic day! 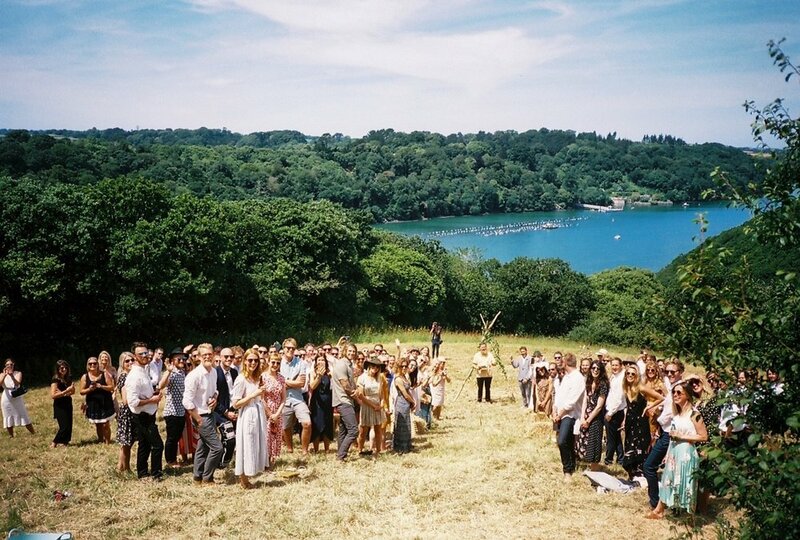 The venue was a stones throw our home Canteen and the guest list was full of our friends from Finisterre and Hannah and James’ vision of a truly unique party had us so excited! We turn up on the day, cook over live fire and serve a single course over the grills; leaving you to party the night away. No fuss, no faff, just honest and super tasty food! 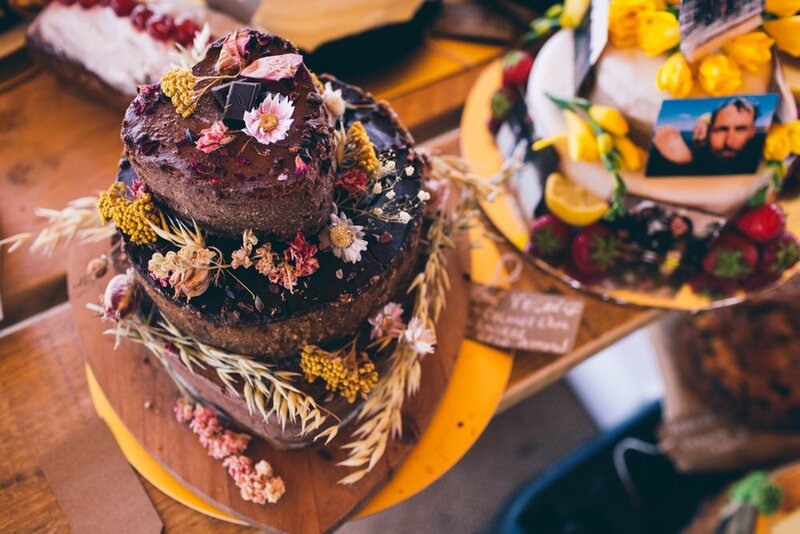 To satisfy the sweet tooth Hannah and James had British Bake Off style table where friends and family brought their very best baked goods - all judged by an expert panel including our own Ben Quinn, who’s cousin Frances in fact won the real GBBO! 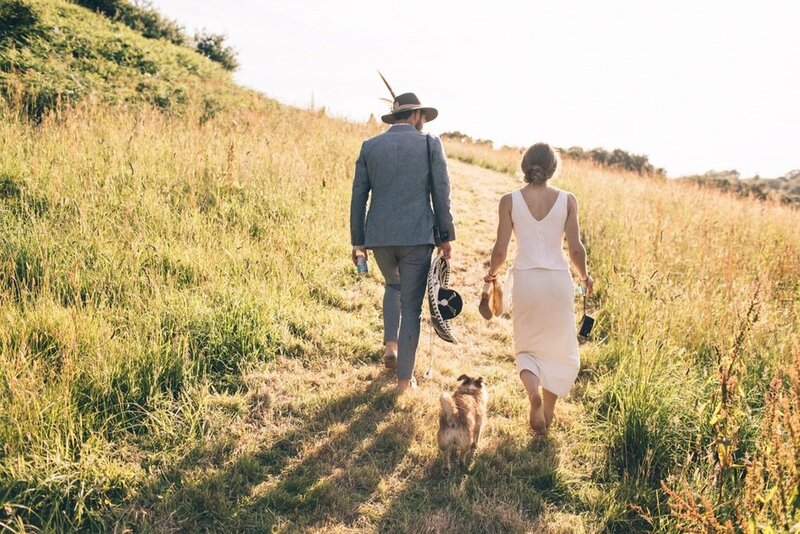 "For James and I, our wedding day was beyond our wildest dreams, never could we have imagined a day quite like it, filled with so much sunshine, love & fun. Having Ben and his team providing the catering just made sense to us, already good friends and having tasted their food on many occasions, we knew we’d be letting our guests in for a treat. Their relaxed approach matched perfectly with ours and their flexibility with timings (I arrived late!) was smooth and without issue. The food itself was light and delicious, perfect for a summers day and cooked off the grills meant more interaction between guests and Bens team. We couldn’t have asked for more!" 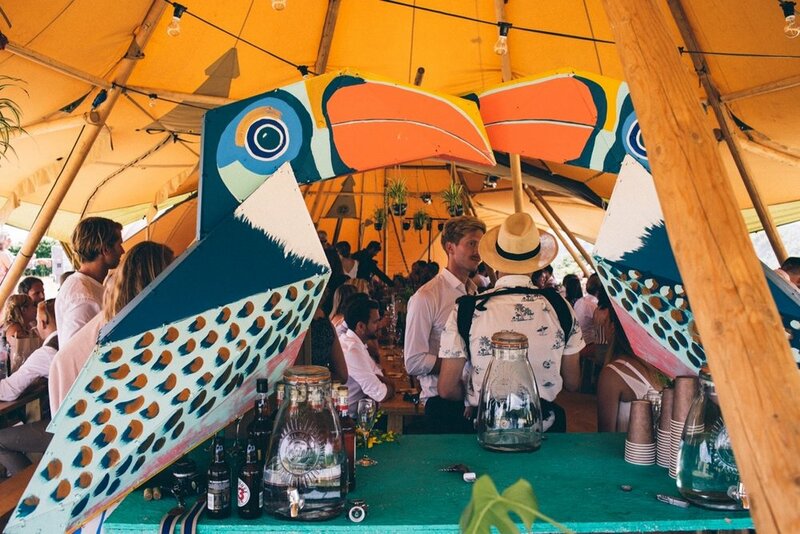 Rumour has it these two Toucans resided over an epic evening of river swimming, dance offs and new love stories in the wake of another amazing Woodfired Wedding.